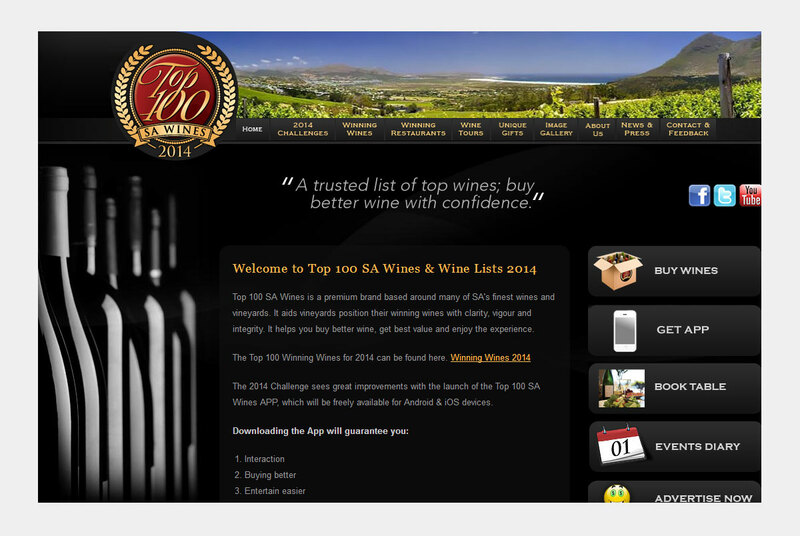 Buybetterwine.com is the holding company, under which sits Top100sawines.com, Weekendwines.com and Sellmorewines.com Aiding vineyards to develop their own routes to market , grow their direct sales, enhance margins as well as build customer loyality while growing their digital and direct sales. Webfactory hosts the domains, and also worked on the initial Top100 website and entry application. Webfactory is a boutique graphic, web design and development studio. We primarily focus on website design, custom PHP development, content management systems, e-commerce systems, maintenance, social media and email marketing. We also offer our clients graphic design services for corporate identities/logos, printed stationery and advertising services.